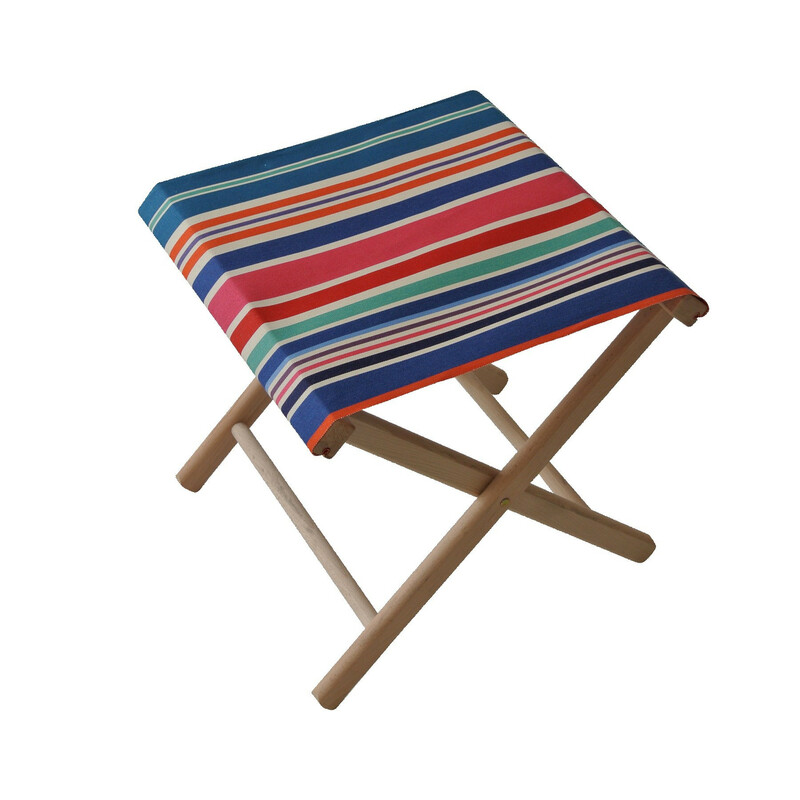 Les Toiles du Soleil presents a unique selection of collapsible camp stools made from the finest striped or solid fabrics both for indoors and outdoors. The collapsible camp stools can create a unique decorative proposal since they can be used as a seating option, a footrest table as well as a place to leave your magazines and clothes or they can simply be combined with a chaise longue of the same multi-colored fabric offering a retro, informal yet chic feel to your interior or exterior environs. Available in various multi-colored fabrics, striped or solid designs with borders the collapsible camp stools are practical, beautiful and adoptable to a multitude of situations, due both to their colors as well as their size and flexibility. Those paying extra attention to the camp stool quality of their folding camp stools can browse through Les Toiles’ e-shop, pick the best camp stool they can imagine and make their purchase online. All stools come with a removable 100% cotton fabric of 350 gr/m². The exceptional camp stool quality makes it easy to preserve the stool’s cool and original appearance. Buyers seeking for a more durable fabric can look through the assortment of quality Sunbrella textiles. Quality Sunbrella is selected for its unequalled resistance to UV rays thus preserving its vivid colors while also being unaffected by extreme weather conditions. The fabric is also effectively protected against stains. So either searching for exceptional gift items for your friends or a quality lightweight campstool to buy for yourself from one of the best French Manufacturers online visit Les Toiles’ e-shop and make your purchase today!